Next February 12th and 13th, the city of Getxo will host an eagerly awaited event, the III International Trophy City of Getxo of Figure Skating. It is organized by the Show Getxo Skating Club, who with enthusiasm, and already for the third time, organizes this event of international caliber that gathers athletes from all around the world, including elite medal winners. The Vizcaya club, though young, demonstrates a world projection with a brilliant future for the more than 120 member skaters of all ages. In addition to the competition, there will be special performances, entertainment, music and dancing. 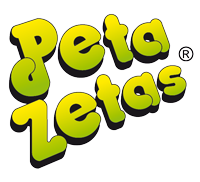 Peta Zetas® will also be there, wishing luck to all participants and offering their support, as well as giving away brand products and making even more fun and entertaining an event that is already a can’t miss date. So if you are around the Multi-sports center Andra Mari next weekend, don’t miss out this chance to see a magnificent show.